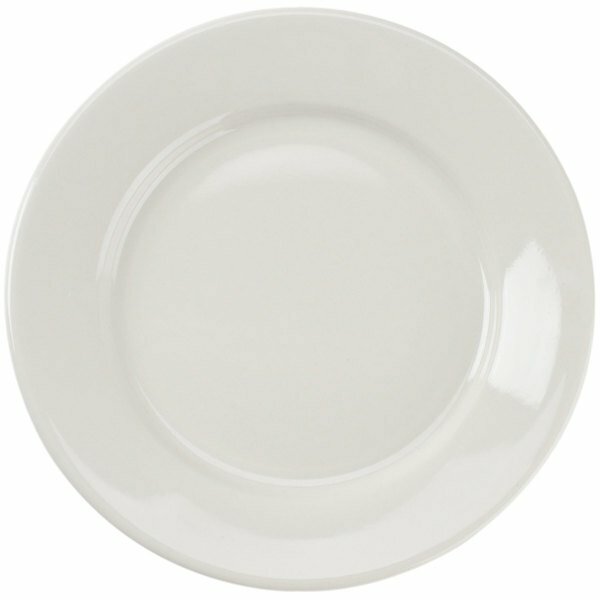 Add the timeless look of CAC REC-6 wide rim 6 1/2" rolled edge american white (ivory / eggshell) dinnerware to your pizzeria, diner, or banquet facility with this 6 1/2" china plate. 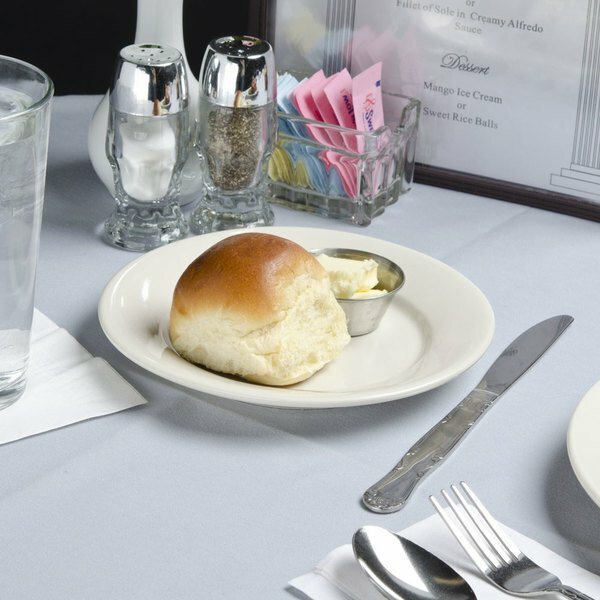 The rich american white (ivory / eggshell) color complements any table setting or restaurant decor to accent your theme and make your chef's presentations shine. 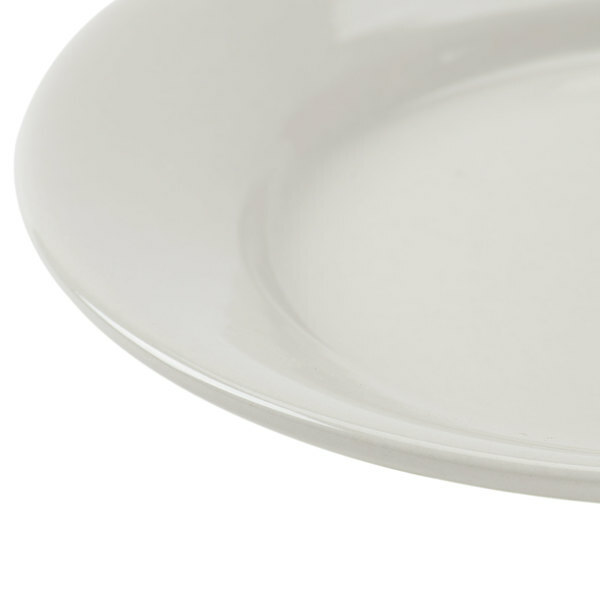 Combine the beautiful american white color with the elegant wide rim and you'll see this plate is the perfect frame for your chef's delicious creations. Furthermore, this plate offers much more than stunning good looks. 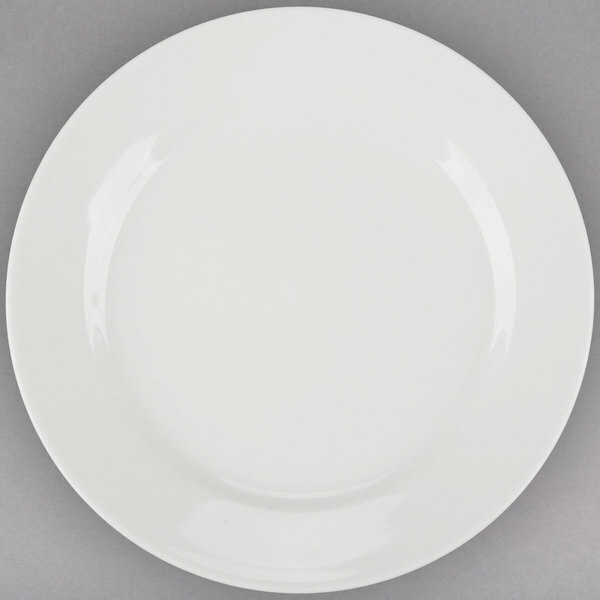 Made from durable china, this plate is capable of withstanding chipping and scratches to give you years of dependable service. Each plate can be stacked, allowing for optimal and efficient use of your storage space. Save Up To $3.94 with our Recommended Product! 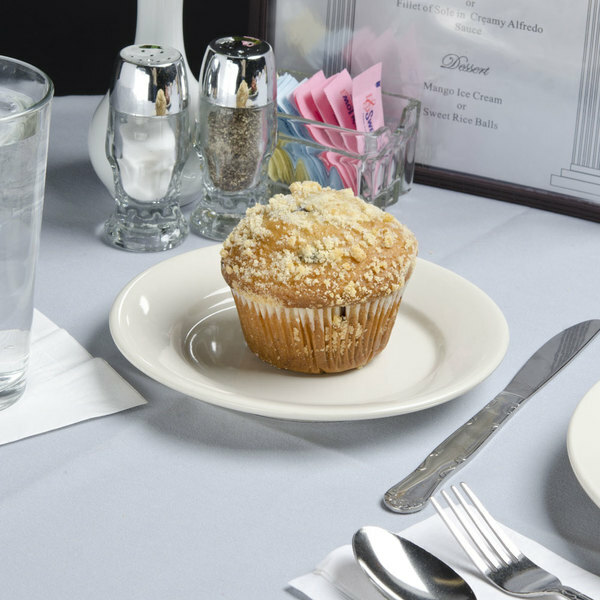 Looking for sophisticated tableware to enhance your patrons’ dining experience? 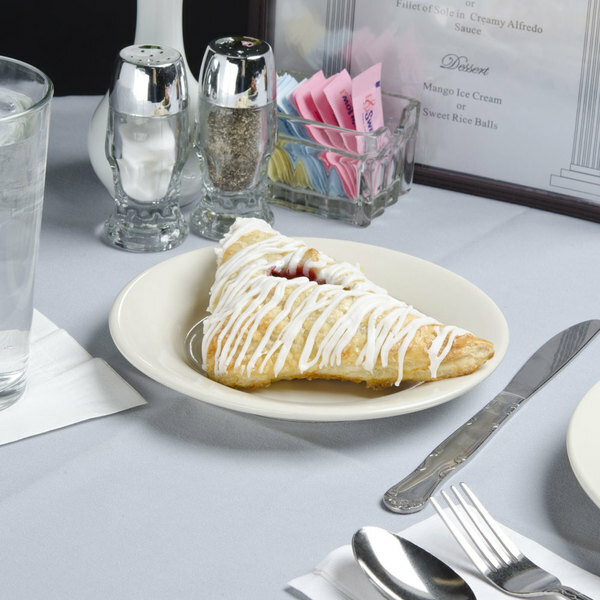 Switch to the Acopa dinnerware line for style that is both functional and economical! 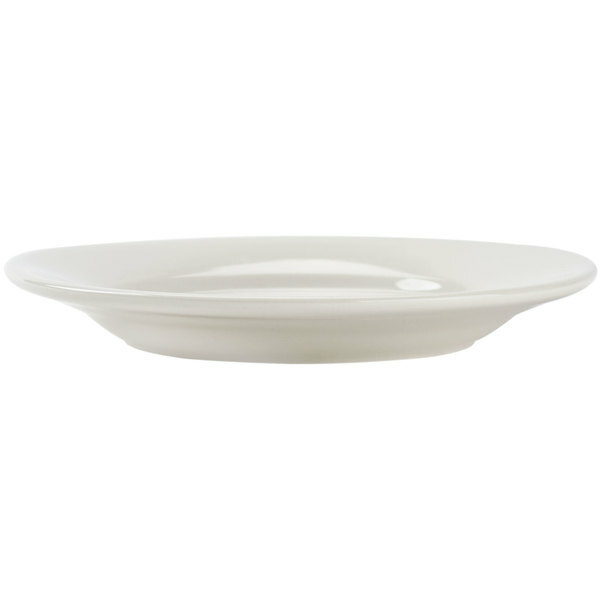 With a simple, sleek design, this Acopa 6 1/4" wide rim china plate is a perfect side plate for your dinner rolls or to serve your breakfast favorites like muffins, danishes, and donuts. 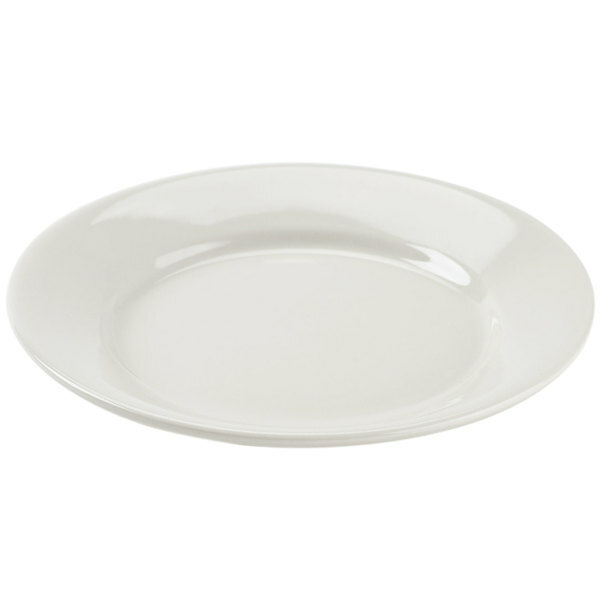 Its ivory color highlights your menu and doesn’t detract from your food for a perfect presentation every time!